Are you looking for a best website template? We Offer websites for small & big Industries globally, at very decent and cost-effective price with all w3c Standards. we are providing our very sophisticated developed solution by HTML 4.0 , 5.0 , Flash ,Photoshop , JQuery which gives you flexibility to customize your requirement . Amitoos Services provide you a different range of services in the Web Desinging to turn out the tremendous better looking website according to your requirement. 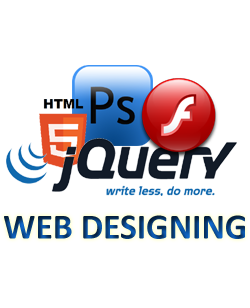 We exploit the quality & designing ability of Html,ASP.NEt 4.5, JQuery to build the Static & Dynamic websites that are W3C compliant, & Search Engine Optimization affable. Customize Deisgning according to your need. Next Year Domain & Hosting Renewal is 1200 Rs. 100 % Payment in Advanced. Next Year Domain & Hosting Renewal is 1500 Rs. Next Year Domain & Hosting Renewal is 1800 Rs. Next Year Domain & Hosting Renewal is 2000 Rs. Next Year Domain & Hosting Renewal is 2300 Rs.